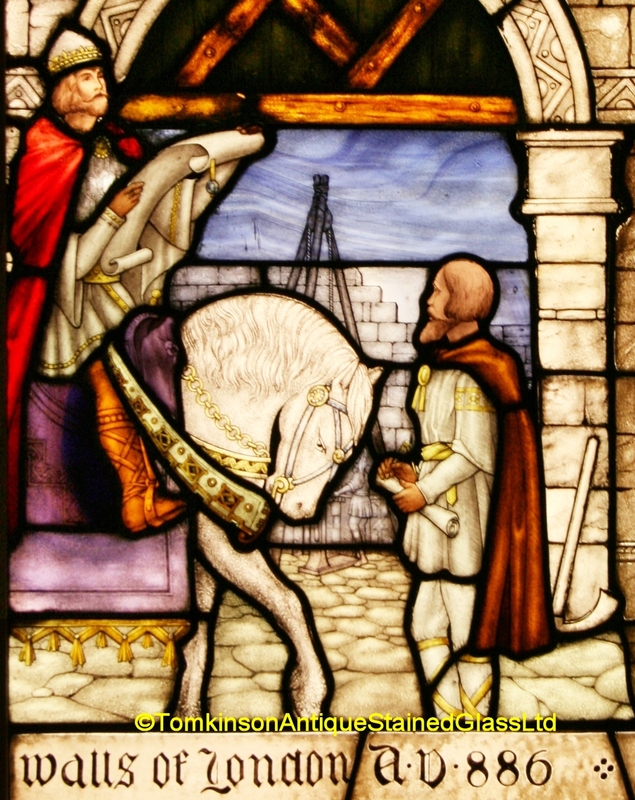 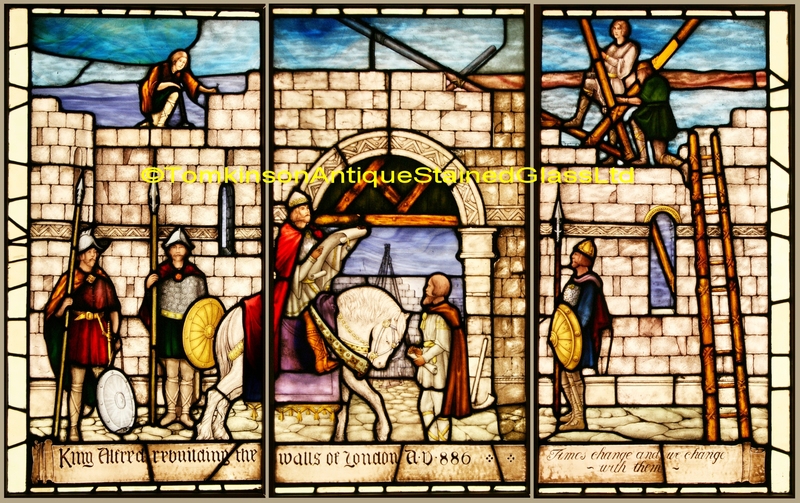 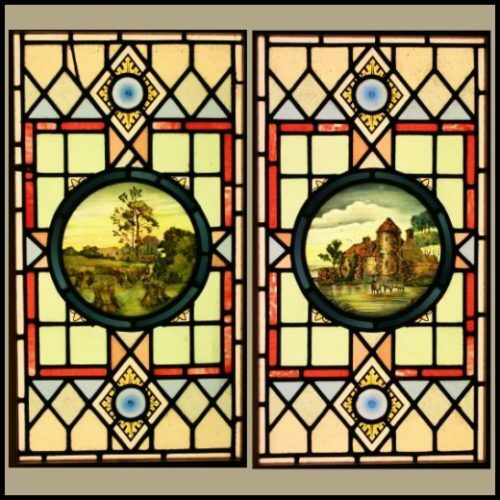 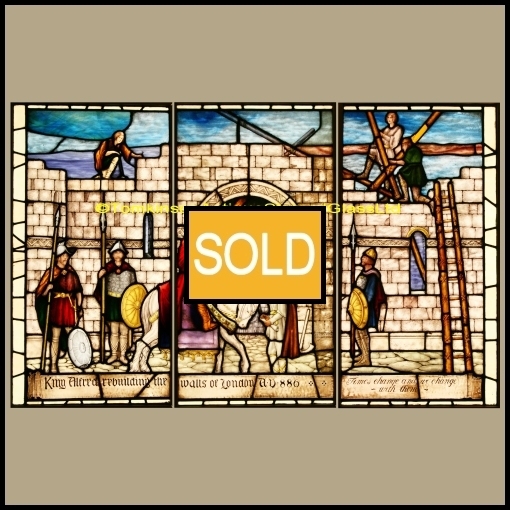 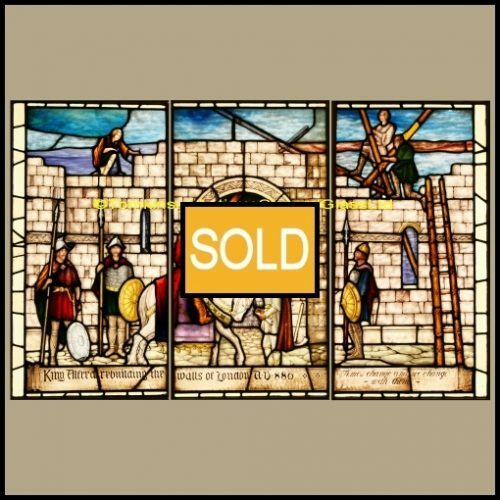 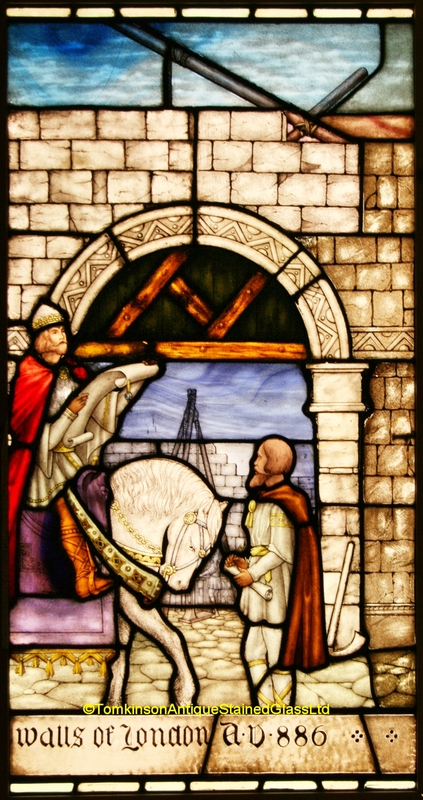 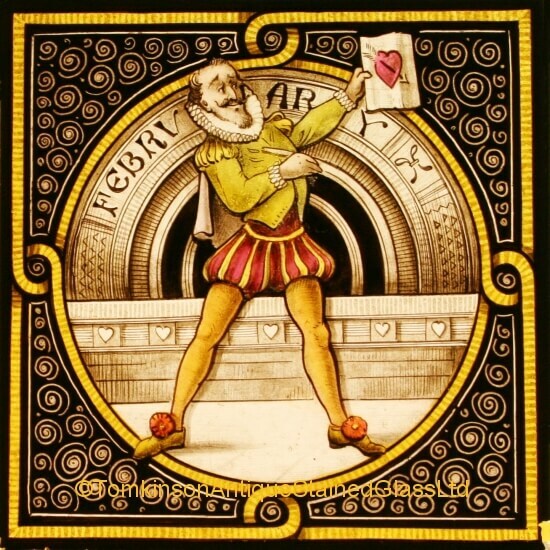 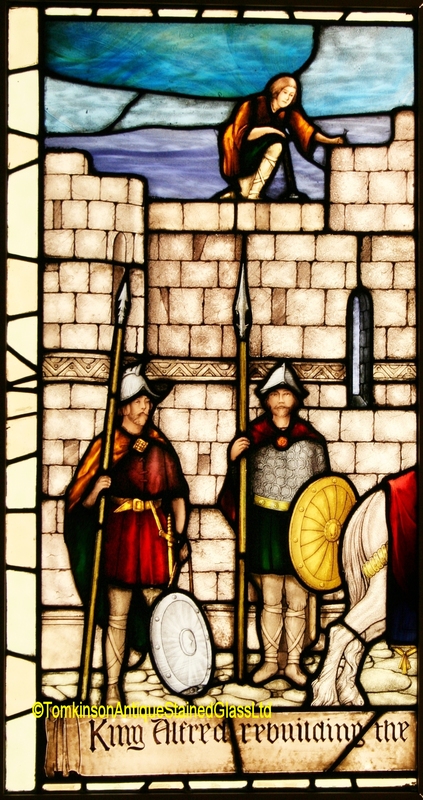 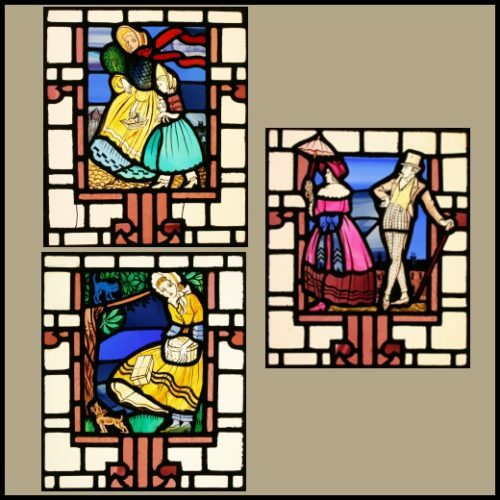 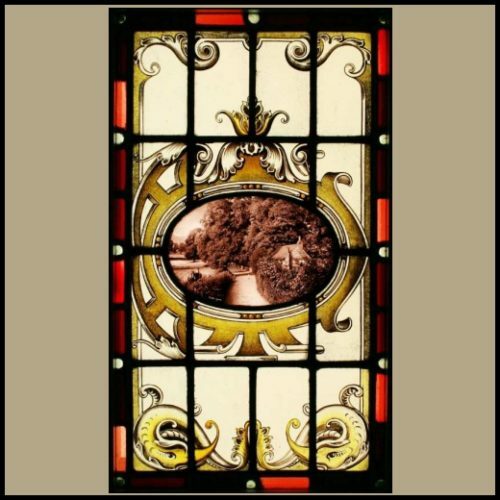 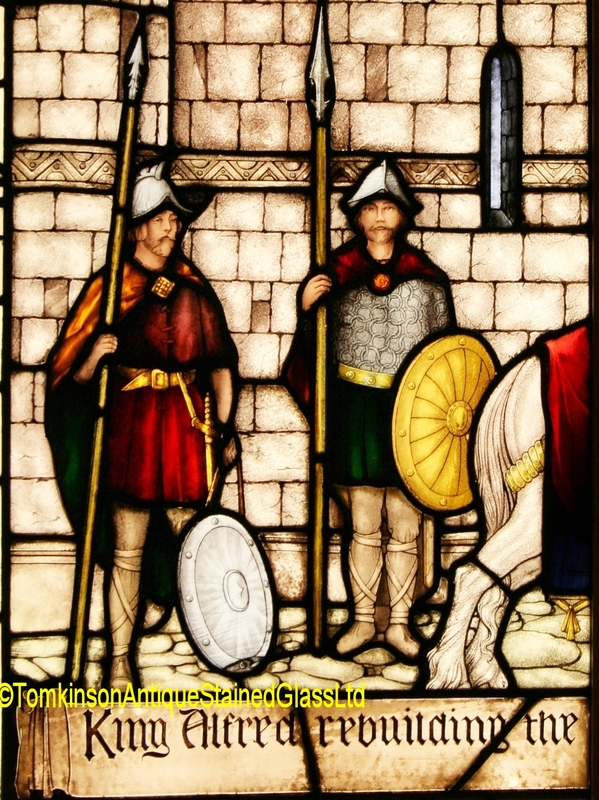 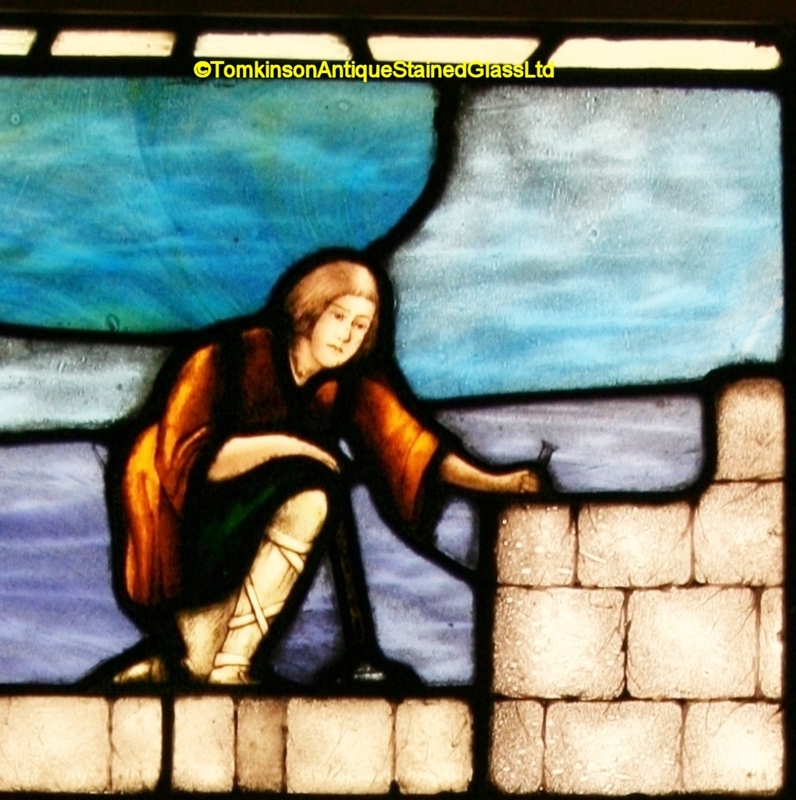 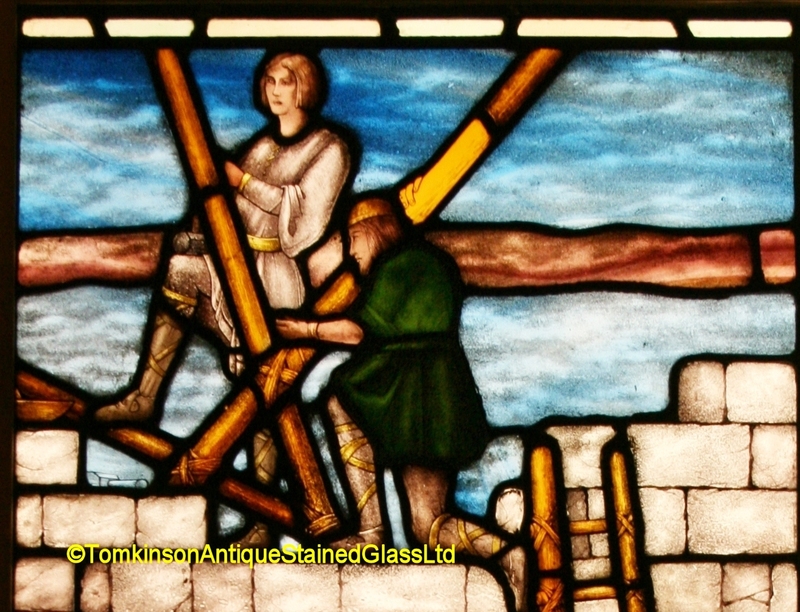 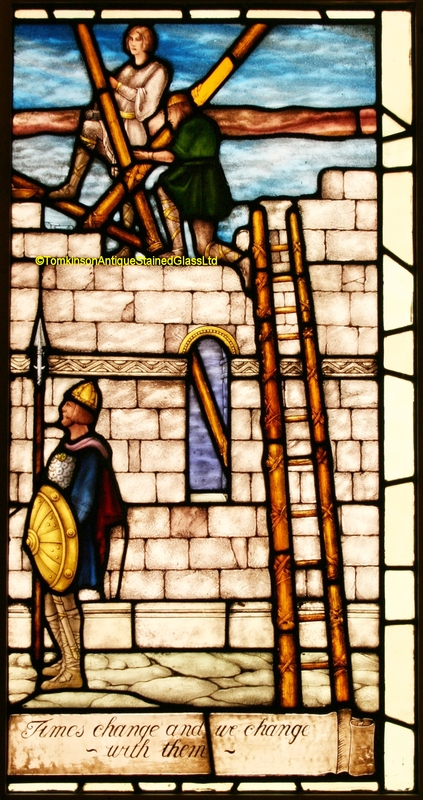 Three connecting windows leaded with coloured glass and hand painted depicting King Alfred, on horseback, reading the plans of rebuilding the walls around the City of London. 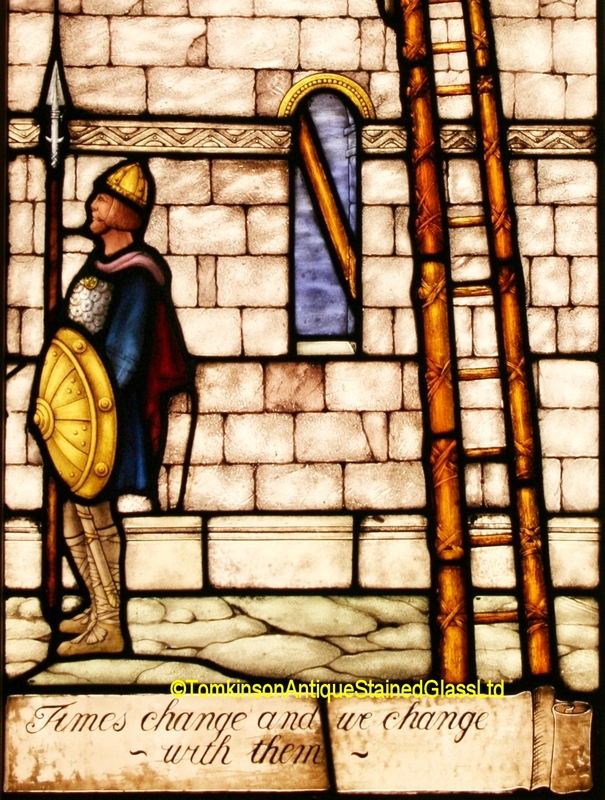 Around are guards and builders on the wall. 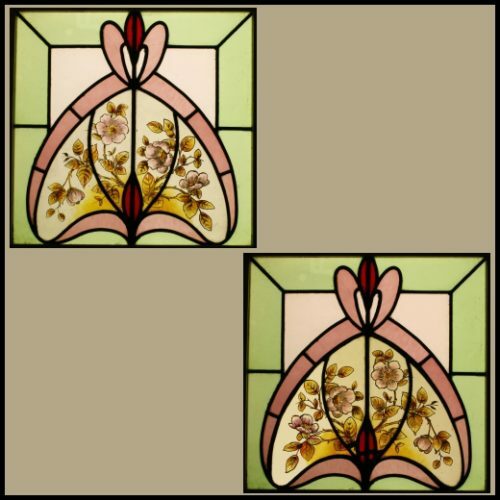 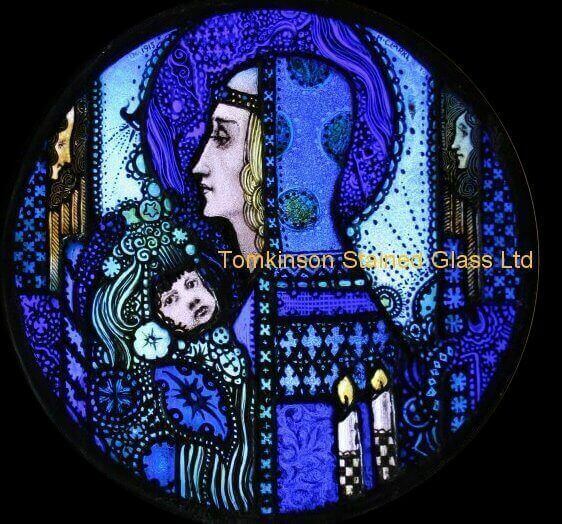 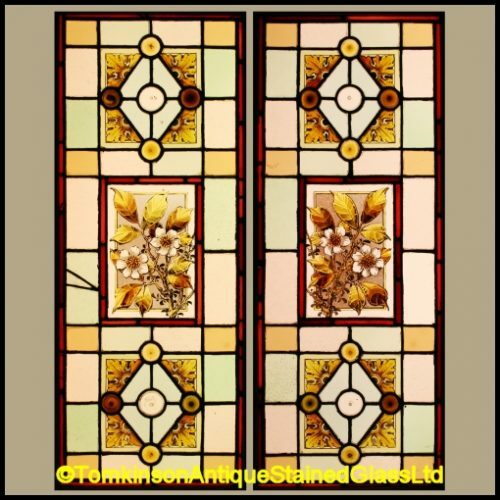 Interesting windows and in excellent condition.